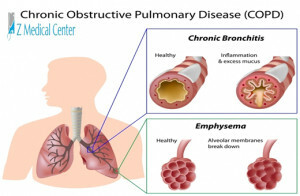 COPD is a disease of lungs, when your lungs goes damaged or worse it makes you hard to breathe. 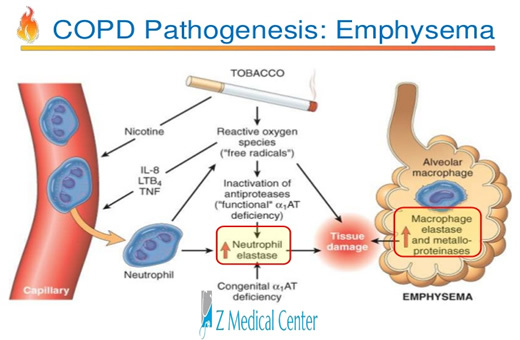 Two different diseases combine and made COPD. First one is “Chronic Bronchitis” the way by which air passes to the lungs, got irritated and produces lot of mucus which blocks or narrow the way for air by which you feel hard to breathe. Second one is “Emphysema” in which tiny air bags like balloon which forms small or big shape of balloon when we breathe, got damaged or worse and loose its feature of elasticity. Second hand smoking or passive smoking. Different kinds of chemical fumes or dust in mines. 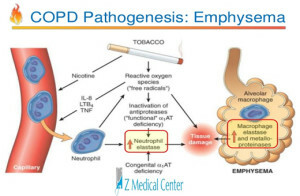 Genetically COPD or Inherited tendency. Cough with mucus or phlegm which seems not to go or finish. Tightness of breathe while exercising or walking or any activity. Losing weight without try to lose it. Chest infection, especially in winter seasons. 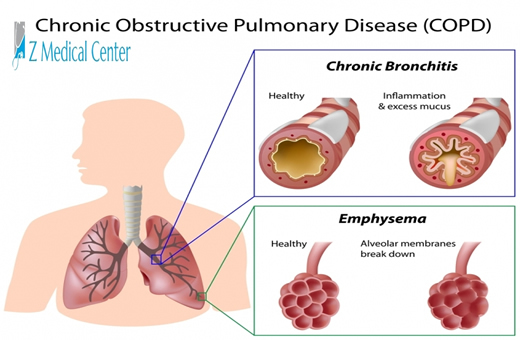 What are the ways or process of diagnosing COPD? Asks you some question about you or your past related to your health or harmful activities related to your health. Spirometry test, a breathing test which checks whether your lung works well or not. How you can treat or slow down COPD? Stop smoking (most important treatment and most recommended treatment by doctors).